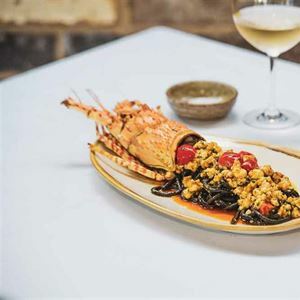 Taking inspiration in all aspects from Turkey’s dynamic culture and aromatic cuisine comes Grill Republic, a trendy restaurant for Turkish street food in Hunter’s Hill, Sydney. 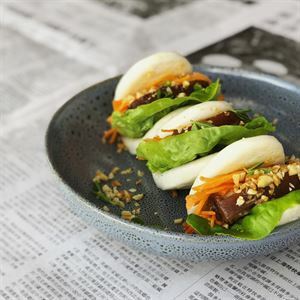 A clean design is fit out in crisp black and white subway tiling and then livened by bold splashes of red through casual decor, a laidback place to enjoy a bite to each with friends tucked into the shops of Gladesville Road. Using only a selection of premium quality ingredients, Grill Republic crafts a menu based on the flavours of Turkey’s cities and towns, ensuring a wide selection to please any palate. 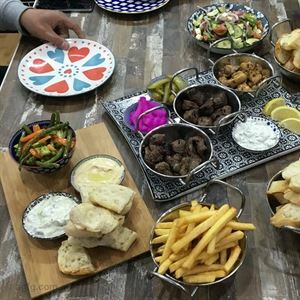 Wrap hands around a street roll, perhaps filled with lamb, smoked eggplant, tomatoes, pickled and red sauce, or enjoy an array of dips and meat skewers, finishing with a serve of Turkish delight cheesecake. Best Place in town !!! Great meats, mezes and salads. Love it !! !